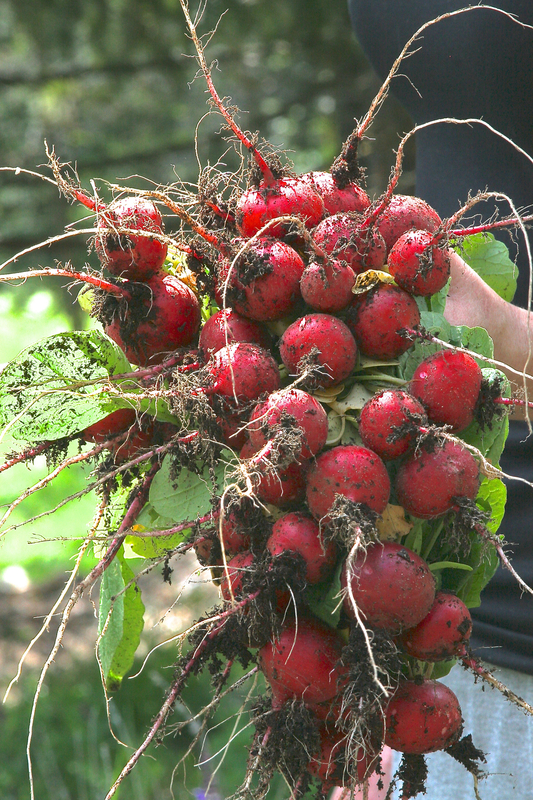 Freshly harvested radishes from our home garden. one of our own hens roaming free and living the good life. 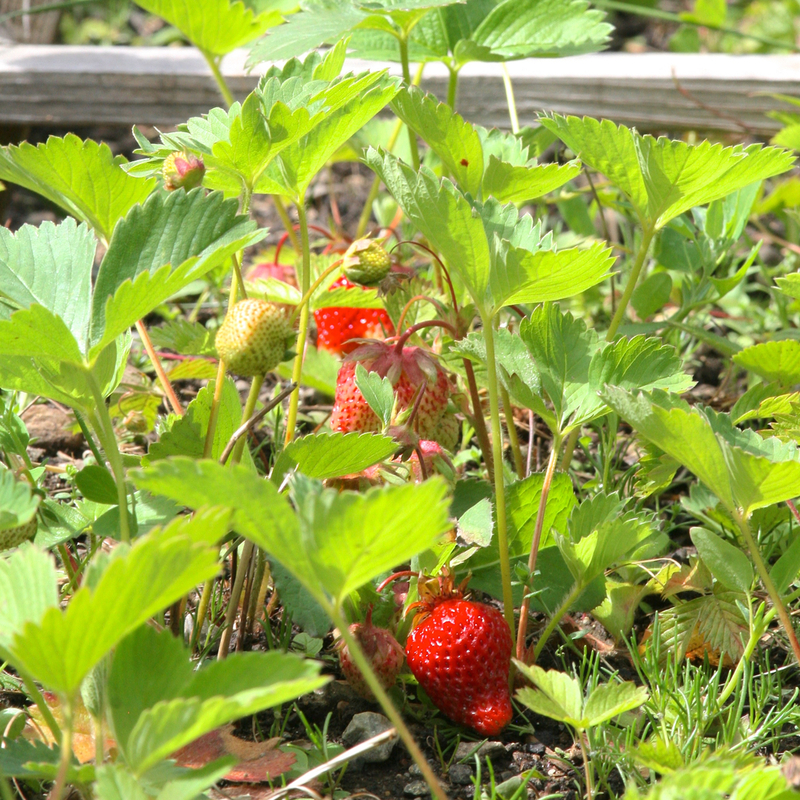 Future dessert from our home garden. 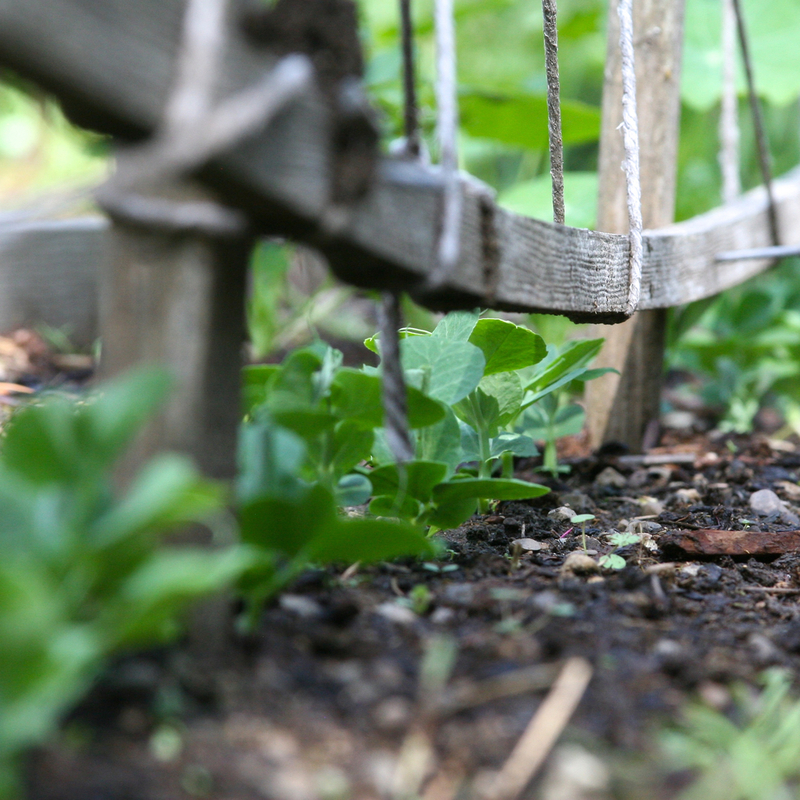 Baby peas in our home garden just waiting to find their way to your plate. Our local farmers work hard to offer us beautiful, fresh produce. All of our salmon is caught by these fine folks up in Alaska. Wild and frozen on boat. Sourcing matters to us. That's why we work hard to find the very best ingredients we can and prepare them in house. 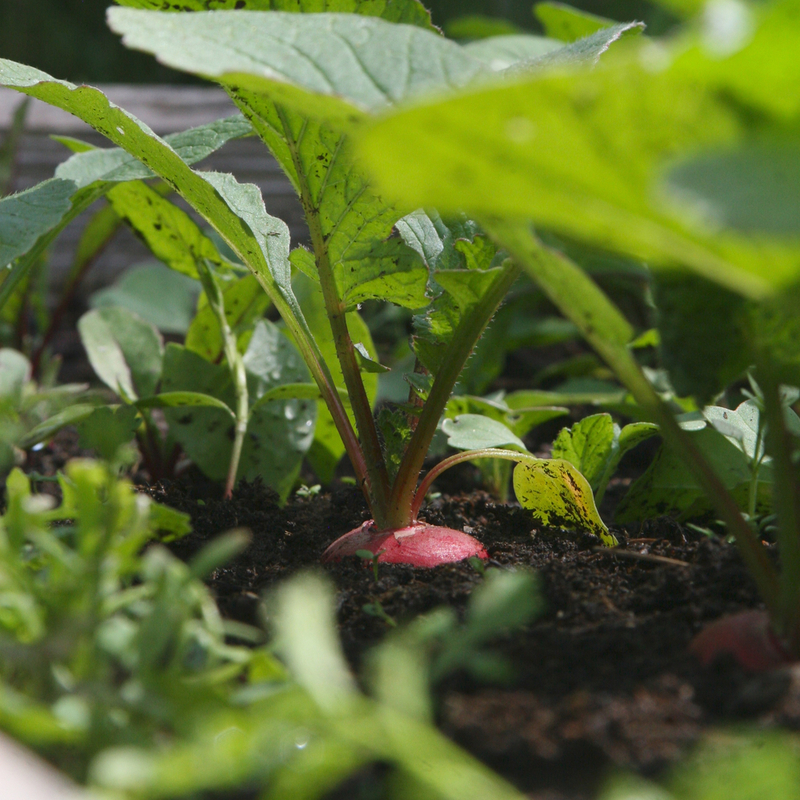 Whenever possible we use in season vegetables grown in healthy soil from our own home garden and by farmers like Red Wheelbarrow Produce. No sprays, no crazy fertilizers. We take pride in offering you Wild Alaskan Salmon from Thunders Catch that is sustainably harvested and frozen fresh on boat. All of our seafood is always wild-caught and saline free. Speaking of saline-free, our chicken is always saline-free, hormone and antibiotic-free. 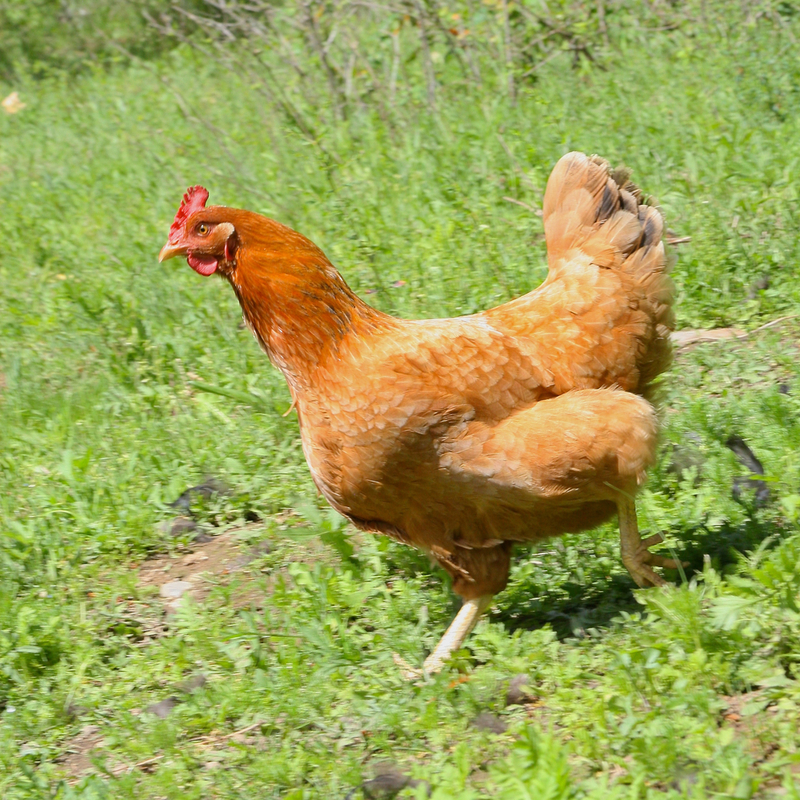 Our own pasture-grazing hens supply the majority of our eggs. We also source eggs locally from our friends at Robertson Farms. Happy, roaming chickens make the best eggs! We source beef from Misty Isle Beef where their Black Angus cows are pasture raised and free from antibiotics and added hormones. We are also proud to serve the very finest local coffee from Evans Brothers Coffee and our two dressings that are made out-of-house are from our local dressing maker, Lighthouse. The quality of the ingredients we bring to our dishes and where they come from matters to us. That's why it only seems natural that we work hard to limit our impact on the planet. We only use compostable to-go containers and whatever fruit and vegetable scraps our chickens don't eat is composted to become dirt that will grow future freshness. Our desire is to continually grow and improve so we can always be offering our customers the best that is available. If you are a local farmer please don't hesitate to contact us at loaf.ladle@gmail.com. We would love to discuss how we can work together to bring our customers the very finest that is available!